I once heard that Steve Jobs wore a black turtleneck every day so he didn’t spend any decision-making or creative energy choosing an outfit. I don’t know if that’s true, but it explains why I got tired of figuring out what to make for dinner every night. When I started working again four years ago, I needed a way to simplify meal planning and shorten dinner prep time, because figuring out what to make each night and what to buy every week was draining me. 1) I made a list of all the quick and easy meals my family likes. Bryan and the kids helped make this list. We came up shy of a month’s worth of meals, so I filled in the rest with easy weeknight meals I found around the web. I’m slowly adding all these recipes to my blog and Pinterest page if you want to follow along there. I completely revamp this list when the seasons change so we don’t end up eating beef stew in July, and I have a few dinners in my arsenal that take some effort for the weekends, or when I get a whim, or when company comes. 2) I organized all the meals using Google Calendar. All the calendars for my family are in Google, so it made sense to incorporate our meal plan there. I organized the meals in a way that made sense for our family schedule. For instance, Tuesdays and Thursdays are crockpot meals because Ruthie used to have soccer practice from 5-6pm, and I didn’t have time for any dinner prep. 3) I numbered the weeks 1-4. This isn’t necessary, but it made it easier for me to do step #4. 4) I created a template grocery list. 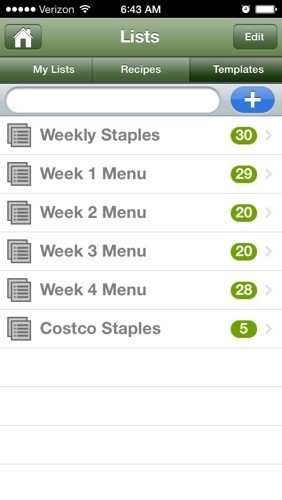 I use the Shopper App for iPhone, which has a feature for creating template lists. I made a template for all the grocery items I need for Week 1, another list for Week 2, and so on. I also made a template for Weekly Staples we always have on hand, like milk, lunch & breakfast items, and wine. 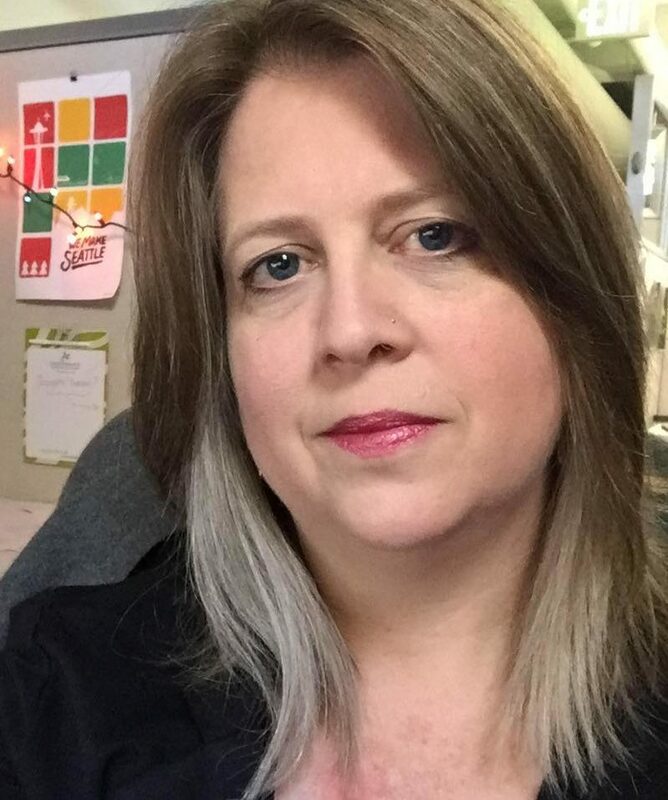 I double check the family calendar to see if I need to make any adjustments to the pre-set meal plan, then I copy the template items for that week over to my current shopping list, omitting anything I already have on hand. I know this sounds OCD, but it’s completely changed my life. On busy weeks, this is a no-brainer task I can fall back on. But if I’m feeling more adventurous or less busy or I have more time to think about it, I change it up with different meals and make a custom grocery list. After about a year of doing this, I feel like it’s the best of both worlds: automated when I need it, flexible when I want it. Do you plan your menu or make it up as you go? Previous Previous post: Do You Journal? Next Next post: Why It’s a Good Idea to Re-Write the Bible.